Frontier Airlines has announced it will fly to Chicago O’Hare, Charlotte, and Atlanta daily from Philadelphia International Airport, beginning March 13. 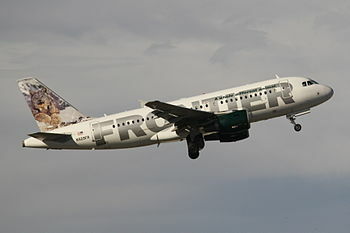 An introductory fare starting at $19 one-way will be available until 11:59 p.m. Wednesday at http://www.flyfrontier.com for travel on Tuesdays and Wednesdays through April 29. Fares from $49 one-way will be available on the company’s website until 11:59 p.m. Jan. 10 for travel on Mondays, Tuesdays, Wednesdays, Thursdays, and Saturdays through May 16. Seats may be limited, and blackout dates will apply. In another blow to Atlantic City, United Airlines will end flights in and out of Atlantic City International Airport on Dec. 3, saying the service to Chicago and Houston did not meet expectations. United, based in Chicago, arrived to great fanfare eight months ago – celebratory balloons, beach umbrellas, and praise from officials including Gov. Christie – when it launched daily nonstop service April 1 to Chicago’s O’Hare and Houston’s George Bush Intercontinental Airports. United was the first major carrier to begin new passenger service in several years at the airport in Egg Harbor Township. Spirit Airlines will begin nonstop flights to Las Vegas from Arnold Palmer Regional Airport near Latrobe starting April 16. Tickets are now available online for the five-hour, nonstop flights, which will depart daily at 7 a.m.
“We’re excited about Vegas. 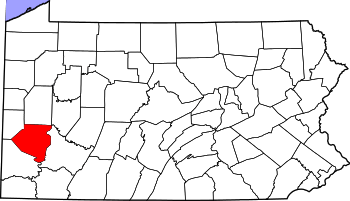 It’s going to be a great addition,” said Gabe Monzo, executive director of the Westmoreland County Airport Authority, which operates the Unity airport. The daily flights will begin just as seasonal flights to Fort Myers and Tampa, Fla., are ending for the season, airline officials said Monday in their announcement. PHILADELPHIA As the plane plummeted, Mark Pensiero said he felt his seat drop and his body press up against the seat belt. Gravity seemed to lose its grasp on the 58-year-old Burlington County man. The Orlando-bound Airbus rocked violently from side to side. The turbulence lasted five seconds, maybe 10, Sunday night. But six people – four passengers and two flight attendants – reported injuries, leading the captain to turn the plane back to Philadelphia, U.S. Airways said. Five people were taken to hospitals. The airline said the extent of their injuries was unknown, but appeared not to be life-threatening. Pensiero said he saw one person taken away in a stretcher and another person, a flight attendant, wearing a neck brace. 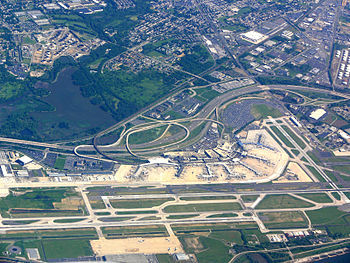 Philadelphia International Airport is the 18th busiest U.S. airport in passenger traffic, with 30.5 million air travelers last year. The nation’s busiest passenger airport, Atlanta, handled 94.4 million fliers, while 66.8 million traversed Chicago O’Hare, according to Airports Council International. Among airports with the fastest passenger growth, Philadelphia was No. 25 among the top 50. Passenger traffic here was up 1 percent. How does the nation’s sixth-largest metro area by population come in No. 18 in passengers? MONONGAHELA, PA — A company official says a woman based in western Pennsylvania was among the 239 people aboard a Malaysia Airlines jet that disappeared en route to Beijing over the weekend. She said Chng went to work for the chemical company Solutia in Malaysia in 2005 and transferred to Monongahela in 2010. 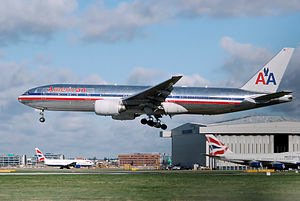 KUALA LUMPUR, Malaysia (AP) – Military radar indicates that the missing Boeing 777 jet may have turned back before vanishing, Malaysia’s air force chief said Sunday as authorities were investigating up to four passengers with suspicious identifications. The revelations add to the uncertainties surrounding the final minutes of flight MH370, which was carrying 239 people when it lost contact with ground controllers somewhere between Malaysia and Vietnam after leaving Kuala Lumpur early Saturday morning for Beijing. A massive international sea search has so far turned up no trace of the plane, which lost contact with the ground when the weather was fine, the plane was already cruising and the pilots didn’t send a distress signal – unusual circumstance for a modern jetliner operated by a professional airline to crash. Vietnamese air force jets spotted two large oil slicks Saturday, but it was unclear if they were linked to the missing plane, and no debris was found nearby. 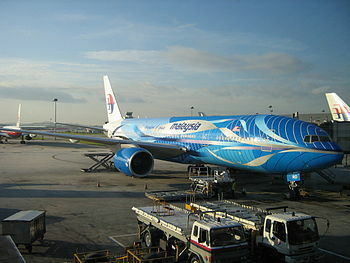 KUALA LUMPUR, Malaysia (AP) – Vietnamese air force planes on Saturday spotted two large oil slicks close to where a Malaysia Airlines Boeing 777 went missing earlier in the day, the first sign that the aircraft carrying 239 people had crashed. 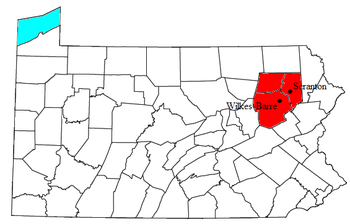 PITTSTON TWP. — For the second time in 11 years, the Wilkes-Barre/Scranton International Airport is the recipient of a federal grant to entice airlines to offer new destinations or to increase the number of flights to current destinations. The $575,000 federal Small Community Air Service Development grant will be used to encourage airlines to add flights to business and leisure destinations that are among the most requested by passengers. Airport Director Barry J. Centini said that on the leisure side, he will look to add Myrtle Beach, S.C., Tampa Bay and Fort Lauderdale, Fla., as destinations. For business travelers, Pittsburgh and Washington are the targets. Those destinations seem to be the ones many customers request or wind up taking connecting flights to get to when they embark from the local airport. He said the funds also could be used to entice airlines already operating out of Avoca to add additional flights to current destinations such as Atlanta. Another startup airline trying to get off the ground has its sights set on Pittsburgh. Jacksonville, Fla.-based City Link Air has talked to local officials about starting service from Pittsburgh International Airport, perhaps even seeing it as a potential focus city. “They’re a startup looking for opportunities around the country. 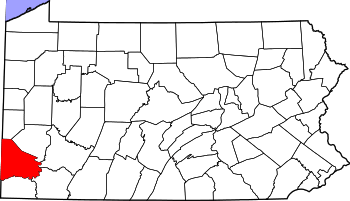 Like we talk to a lot of others, we talk to them,” said Bradley D. Penrod, president and chief strategy officer for the Allegheny County Airport Authority, which operates Pittsburgh International. Mr. Penrod characterized the dealings with City Link as “an early discussion. They’ve approached us and they’ve given us a presentation,” he said. NEW YORK — Dark, dingy, cramped and sad. These are some of the ways travelers describe LaGuardia Airport, a bustling hub often ranked in customer satisfaction surveys as the worst in America. “It does not represent what people think of when they think of New York and Broadway shows and glamour. It’s not very pretty,” said Layla House, a sales manager for a medical supply company who travels from her home in Bullard, Texas, to New York at least six times a year. Gov. Andrew Cuomo recently announced the state is taking control of an ambitious $3.6 billion construction project that envisions a new central terminal at LaGuardia, with vast open spaces, restaurants, shopping plazas, new parking garages, free Wi-Fi and other amenities now common in other airports. 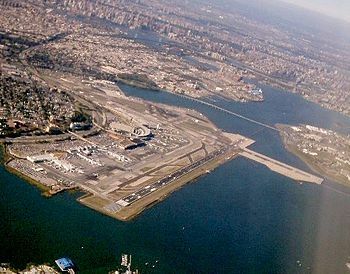 Cuomo wants to develop a plan to upgrade cargo operations at nearby John F. Kennedy International Airport. The cost of flying might be going up, but this time it’s not the airlines raising prices. The Obama administration has proposed raising the taxes on air travel by about $14 per flight, a move airlines strongly oppose. Higher taxes are needed to help reduce the deficit, pay for improvements at the nation’s airports and add thousands of new immigration and customs officers to reduce wait times to process foreign visitors, the administration says. Airlines say higher taxes will backfire and hurt the economy. The airline industry took a decisive step toward greater concentration on Thursday with the announcement that American Airlines and US Airways had agreed to merge, forming the nation’s biggest airline. 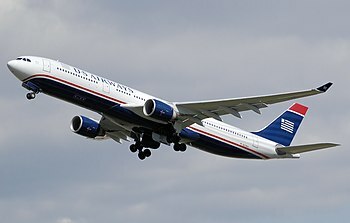 The merged airline, to be called American, leaves just three major carriers — Delta Air Lines and United Airlines too — able to offer extensive domestic and international service, a sharp contraction over the last decade. But while airline executives argue that mergers are good for passengers because they bring more service to more destinations, some economists and consumer advocates warn that all this consolidation comes at a price for travelers. With fewer carriers, passengers have fewer options; fares and fees are now more likely to go up, particularly for flights between midsize cities. And more cities, especially smaller ones, can expect to see further reductions in service. DALLAS — American Airlines and US Airways have agreed to merge in an $11 billion deal that would create the world’s biggest airline. The boards of the two airlines unanimously approved the deal late Wednesday, and the companies announced the agreement early Thursday. 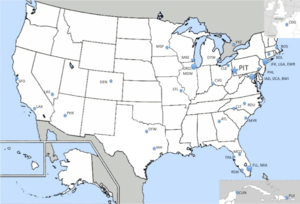 More than 100 U.S. airports, including Wilkes-Barre/Scranton International, are in jeopardy of losing their air traffic control service – forcing their closure – under automatic federal spending cuts set to take effect Jan. 2, according to a Center for American Progress study. Under the potential across-the-board budget cuts, or sequestration, the Federal Aviation Administration would be required to slash an estimated $1.35 billion, or approximately 9 percent, from its annual budget for each of the next 10 years, starting in January, to reduce the nation’s deficit, according to the study. In order to decrease its expenditures, the administration may choose to restrict flights nationwide – from 70,000 to 62,000 per year – said Scott Lilly, a CAP senior writer and the author of the study. 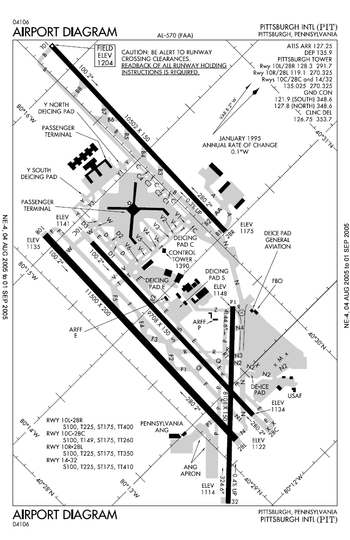 However, Mr. Lilly said it is more likely the FAA will be forced to cut air traffic service at 106 of the nation’s smaller commercial airports – which he defined as less than 750,000 passengers per year – including the Wilkes-Barre/Scranton International Airport, Lehigh Valley International Airport and Harrisburg International Airport. Cape Air has decided to stop serving Lancaster Airport, a company executive said Wednesday. 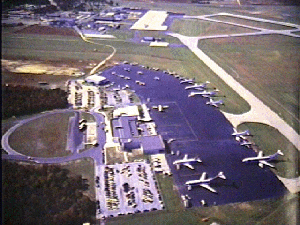 But it will keep flying between here and Baltimore-Washington International until a successor starts operating here. “Cape Air is committed to providing uninterrupted, great daily air service … until another airline can begin,” said Andrew Bonney, vice president of planning. Whether another airline offers to serve Lancaster, and which city it would fly to, remains to be seen.